Before you begin working your way to foreign language fluency, it helps to understand the culture behind the language you’re learning. After all, language exists to help a group of people express their ideas and beliefs. France is an old country with a rich history and culture. 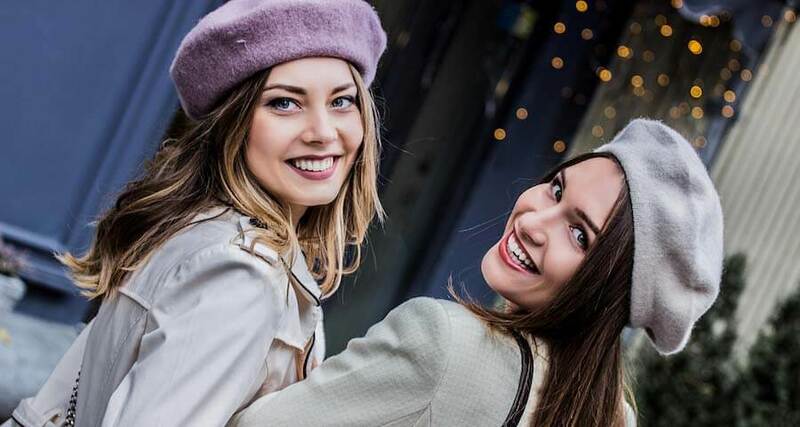 As you begin your French language program, gaining a strong grasp on this history, the values, and the etiquette will help you rapidly achieve success. In particular, forming French friendships can be a daunting task, but once created, they last a lifetime. The best way to meet people in your new French community is by joining activities that interest you. One option to consider is “randonnées,” which are guided walking or bicycling tours. To get started, visit the local town hall and check their bulletin board for the next planned event. After paying a minimal fee, you’ll be given your map and assigned to a small group. Lunch and snack breaks along the tour will give you a chance to meet others in the group and to master the French language. The French take friendship very seriously and maintain certain expectations of new friends. They will often invite you to dinner, to events, to the beach, or to movies. Whatever the event, it’s expected that you will attend, so if there’s a reason you must decline, you may leave your friends feeling disappointed and hurt. While unforeseen events can force you to cancel plans with your new French friends, you may be left feeling overrun with guilt for doing so. Judy Churchill, who worked in the south of France as a trainer and consultant, reinforces this idea. The French maintain certain expectations and assume their new friends will work hard at maintaining the bond. While the French are warm and accepting at first, that can change if they think their affection is not reciprocated. Often, the French reach out to foreign tourists in friendship, only to be hurt when the visitors return home and stop communicating with them. Throughout the western world, the French have become known for having arrogant, rude, and pushy demeanors. Perhaps this was the case in a few rare encounters, but this characterization is not true of French people as a whole. In fact, they only seem cold and distant, because they have a certain expectation of visitors to their communities. Isn’t that true of every society, though? While tourists tend to expect the welcoming city to be more hospitable, the French expect the visitors to make the extra effort. Once you have shown your willingness to conform to their customs, French communities will be much friendlier and far more welcoming. From childhood, the French are raised with a dedication to politeness and common courtesy. Children are taught to respect their elders and to always maintain a degree of rigidity in observing restraint. This means they’re more formal than children from other western countries. As they get older, they hold onto this custom and expect no less from their visitors. Newcomers to French cities will be expected to display good manners at all times and will be treated with the same common courtesy in return. This may make things seem awkward in the beginning, but as visitors come to learn what is expected of them, they will find their time in France much more enjoyable and the communities much more accommodating. The French people can be very accepting of visitors, but only as long as those newcomers don’t behave with bad manners or act belligerently. When joining a French individual for a meal, it’s important to remember the value that the French place on the dining experience. Everything from the taste and aroma of the food to the company and ambiance of the eating environment must create an enjoyable experience. Depending on the location, a guest will either be invited out to dine at a local favored restaurant or asked to join the family at their home. Typically, those living in larger cities opt for the restaurant experience, while families in smaller townships are happy to host in their home. A third option consists of an “aperitif,” which is an invitation for a brief visit into the host’s home. Here you will be shown into the main room and served a drink, along with conversation. However, you’re expected not to wander. The French like to keep their homes, especially their kitchens, private and generally don’t provide tours to guests. However, a lunch invitation is a big event, even for the host. While westerners tend to think of lunch as a brief 30 minute to an hour worth of eating and light conversation, the French expect a much more elaborate experience. Lunch usually involves a walk and a nap, as well as a meal. A typical lunch date can last five or six hours.